Current fighting over control of Syria’s commercial hub, Aleppo, would determine the fate of the country’s political capital, Damascus, according to veteran Syrian writer and journalist Ghassan al-Imam. To tighten their grip on Damascus and Aleppo, the armed forces need to secure the 400-kilometer long highway that links them, including the Homs-Hama junction. This has proven difficult, despite the “ethnic cleansing” campaigns against adjacent Sunnite villages in the al-Ghab plain, writes Imam. In keeping with the regime’s new military strategy, Aleppo is next, says Imam. “The rebels’ morale in Aleppo is high, despite their shortages in weapons and ammunitions supplies. The number of armed insurgents is between 3,000 and 5,000. Their ranks are expected to grow to 10,000 fighters in case the battle drags out for weeks. Turkey encouraged and thrust into the city an inadequate number of poorly armed rebel fighters, expecting them to hold their ground for weeks in a besieged city, Imam concludes. Separately, Turkey Monday sent a convoy of tanks, ground-to-air missile batteries and other weapons to the border with Syria to further bolster its forces. The new buildup came as the state-run Syrian daily al-Watan claimed Iran warned Turkey of a harsh response if it intervened militarily in Syria. "Any attack on Syrian territory will encounter a harsh response, and the Iranian-Syrian mutual defense agreement will be activated," it reported yesterday. “Turkey has agreed with the United States on a military intervention limited to the north of Syria, specifically the northern province of Aleppo, to pave the way for the creation of a safe haven guarded by the armed gangs,” the newspaper said. "Turkey has received very strong warnings in the past few hours and the following message: beware changing the rules of the game," al-Watan added. In a phone call yesterday, U.S. President Barack Obama and Turkish Prime Minister Recep Tayyip Erdogan agreed to help the growing numbers of refugees - both inside Syria and in neighboring countries. Speaking to a group of reporters on Sunday night, Turkish Foreign Minister Ahmet Davutoglu said Turkey might need to take more drastic measures if the regime onslaught on Aleppo triggered a huge flight of refugees to Turkey. “We may have to find a way to host these refugees within Syria,” he said, signaling Turkey may be forced to set up a buffer zone on Syrian soil to address the mounting refugee crisis. Turkey already hosts half as many Syrian refugees in various centers. The Middle East, with Syria at its core, faces a long haul to stability. The disheartening opinion is today shared in separate think pieces penned by Talal Salman, founding publisher and editor-in-chief of the Lebanese daily as-Safir, and George Semaan, former editor-in-chief of the pan-Arab daily al-Hayat. According to Semaan, writing for al-Hayat under the title “Syria stirs regional wars and the finale is way-off,” all Syria players know the regime’s fall is a matter of time. 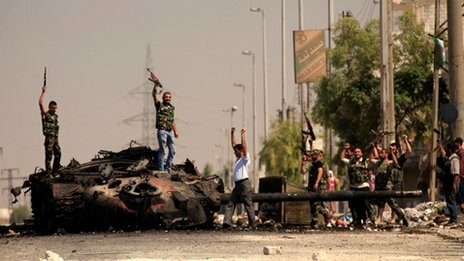 What they fear is Syria collapsing totally and becoming ungovernable or inhospitable to any new regime. The utter and systematic destruction of most of the country’s cities and townships goes on unabated. The opposition did not leave Homs, Hama, Idlib or Deraa, but little of them is left. That’s what will also happen to the two capitals, Aleppo and Damascus. The Annan mission that was meant to give international and regional players extra time has breathed its last, prompting the regime to disseminate seeds of conflict on several regional fronts. Among such seeds are (1) the regime’s talk of chemical and biological weapons to perturb the whole world, chiefly Israel (2) its empowerment of Syrian Kurdish groups on Turkey’s doorstep (3) its apathy to the pouring of Syrian refugees into neighboring countries, including Turkey, Lebanon, Jordan and Iraq, and (4) its apparent indifference to sectarian fighting that could well draw in Arab countries and non-Arab Iran. In Iraq, America’s decapitation of the Saddam regime changed the country from a Sunnite-led dictatorship to a Shiite-led democracy. In Syria, forcible change from an Alawite-led dictatorship to a Sunnite-led democracy would fire up Iran. How else would you translate the recent flood of threats by Iran, basically saying that regime change in Syria is just a dream? “The forceful emergence of the Iranian factor in the Syria crisis coupled with shockwaves of sectarian and ethnic struggle in the region won’t perturb the Russians. They would strengthen her hand in standing up to the West and many Arabs. “Syria’s breakup and its becoming a failed state after the regime’s exit won’t perturb the United States and Israel either. “We are thus into a new and lengthy chapter bound to prolong the sufferings of Syrians and their neighbors as well,” Semaan concludes. In his leader for al-Safir, Talal Salman sees Lebanon becoming the prototype for Arab world statelets gripped by civil war. Lebanon, he explains, is renowned as a country where society is infinitely stronger than the state. The experience of the 20 years of armed internecine strife – which subsided but remained simmering – showed that, despite occasional cosmetic change, Lebanon’s sectarian regime is a “constant” whereas statehood is the “variable.” Statehood might dissipate for a few years before being resurrected as per new sectarian power balances and outer sponsors. Once brought back to life, the “state” resumes the role of relations manager and traffic policeman. In truth, conditions in Lebanon – which appear farcical but are tragic in origin – reflect the turbulence sweeping the Arab World’s Mashreq and Maghreb. In Egypt, ongoing attempts to monopolize power are almost burying the Tahrir Square Revolution. The party that won the presidency for its candidate cannot claim to be the “ruling party.” Nor can its allies accept seeing the “compromise candidate” act as a partisan. But, though open-ended, the power struggle in Egypt remains peaceful and unlike in Syria, where the ruling party evaporated by orders from above for failing to cover up one-man rule. And while the situation in Egypt is temporary, Syria’s is pending. In Iraq, the legend of a “leader party” ruling the country and its people in the sole leader’s name is no more. But the situation is Iraq is still knocking at the door of civil war. Lebanon being the only country that can survive as a collection of sectarian statelets, the danger today is of Lebanon becoming the template for restructuring the “states” around it, whether far or near. Michel Kilo is the most prominent Syrian Christian writer and pro-democracy campaigner. He was released from prison in May 2009 after serving a three-year sentence and now lives in exile in Paris. He was among seven opposition figures jailed in 2006 for signing the Damascus Spring Declaration. The declaration, signed by 500 Lebanese and Syrians, called for normalizing Lebanese-Syrian relations, demarcating the Syrian-Lebanese border and an end to political killings in Lebanon blamed on Damascus. Kilo, one of the key Syrian opposition figures invited to Moscow earlier this month for inconclusive talks with Foreign Minister Sergei Lavrov, is renowned for expressing his opinions without verbal zigzagging. I have a three-pronged answer to what the opposition should do forthwith. (1) Set us a transitional government of across-the-board national unity after consulting the Local Coordination Committees of Syria (LCCS), the Free Syrian Army (FSA) and the opposition at home and abroad. Most members of such a government should be drawn from the LCCS and FSA. Government seats should also be left open for regime members whose hands have not been stained with blood. The task is very pressing. Once formed, the government must issue a ministerial policy statement, the drafting of which should start at once. The statement would determine measures and policies liable to maintain the integrity of the Syrian state and society. It would ascribe confidence-building roles to what the West calls “minorities.” It would involve them in ceasefire, pacification and national reconciliation arrangements and in overseeing particular areas disjointed by the regime’s sectarian policies and the retaliatory policies of some opposition groups. Under no circumstances should this be a proportional government. Futile disagreements over the alleged size of this or that group are anathema because the government would be in charge of the currently liberated areas, and of the whole country after the regime’s fall. It would safeguard the border with Israel and prevent any regional player from taking advantage of the Syria crisis to sow dissent or abort an all-Syrian solution or obstruct Assad’s exit. It would solicit Arab aid, with possible international input, so as to control the situation during the transition phase. The government should include representatives from all components of Syrian society and adhere to a consensual national program embraced by all Syrian. The program essentially endorses the Syrian state and society’s integrity, citizenship, human and minority rights and the posited fundamentals of the transition phase. (2) Put out a national manifesto, to be drafted and signed by all hues of the Syrian opposition, including the LCCS, the FSA, the Syrian National Council (SNC) and political parties, irrespective of their current nomenclatures. The manifesto would characterize the new-Syria that the signatories undertake to create. It would specify the procedural ways and phases to do so as well as the steps to be made in each phase. It would forswear recrimination, discrimination and exclusion and uphold tolerance in a free and cohesive Syrian state and society. (3) It is imperative that Syrian army and security personnel take an unambiguous stand decoupling them from the regime and binding them with their people. The move would return them to their natural fold to share in procreating the Syrian state and society as a free and plural democracy respectful of human and civil rights and averse to religious, ethnic and social class discrimination. The Syrian people want the army and security forces to be on their side. They look forward to cooperating with nationalist and honest regime people whose hands are not stained with their blood… Reciprocity is hence required. A move from within the opposition should be matched by one from within the regime so the two sides can link up to end the country’s predicament. The three steps should be worked on concomitantly straight away. Would the “Mother of all Battles” in Aleppo between the Syrian army and rebel forces “give birth” to a Turkish thrust into Syrian territory? It is a battle neither side can afford to lose. For President Bashar al-Assad, losing the country’s largest city and economic heart, would break his back. For the armed insurgents, losing their Benghazi would be a devastating setback. Either way, a flood of Aleppo refugees into next-door Turkey, where the headquarters of the opposition Free Syrian Army is based, could push Prime Minister Recep Tayyip Erdogan to carve up either a buffer zone or a humanitarian corridor in Syria. Turkey, already home to almost 50,000 refugees, is on record saying it would weigh plans to establish a security zone within Syrian territory if it were faced with a massive influx of refugees – which, in this case, could be triggered by the battle for Aleppo. Erdogan also accused Syria on Thursday of giving Kurdish rebels a free hand in its northern provinces and warned that Ankara would not hesitate to strike. “In the north, it (Assad’s regime) allotted five provinces to the Kurds, to the terrorist organization,” Erdogan said, referring to the Kurdistan Worker’s Party (PKK). “This could be one of the alternatives. A security zone, a buffer zone all these could be part of the alternatives,” he said, without elaborating. There are reports the regime is about to turn over control of the all-important city of Qamishli to the PKK and its Syrian arm, the Democratic Union Party (PYD). Qamishli is in northeastern Syria on the border with Turkey, adjoining the Turkish city of Nusaybin, and close to Iraq. It is regarded as the secret capital of the Syrian Kurds. 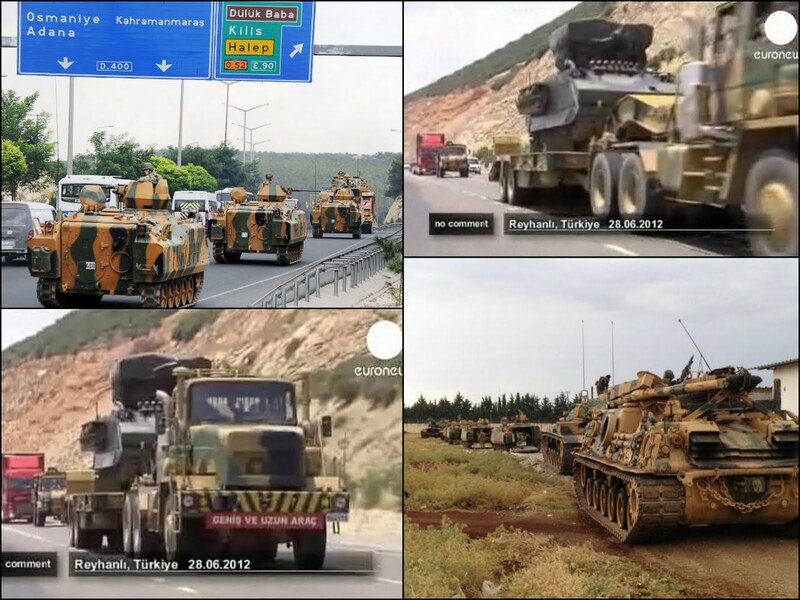 Erdogan would probably invoke the 1998 Adana Agreement with Syria to justify a military thrust. The governments of Turkey and Syria signed the Adana Agreement on October 20, 1998. In it, Damascus not only agreed to recognize the PKK as a terrorist organization but also pledged to cease all aid to the PKK and to deport its leader Abdullah Ocalan, who is now serving a life sentence in a Turkish jail. Interestingly, a Syrian legislator representing the province of Aleppo said on Friday she has defected to Turkey, becoming the first member of the rubberstamp assembly elected in May and dominated by Assad's Baath Party to defect. “I crossed to Turkey and defected from this tyrannical regime... because of the repression and savage torture against a nation demanding the minimum of rights,” Ikhlas al-Badawi, a mother of six, told Sky News Arabia. Syrian Brig. 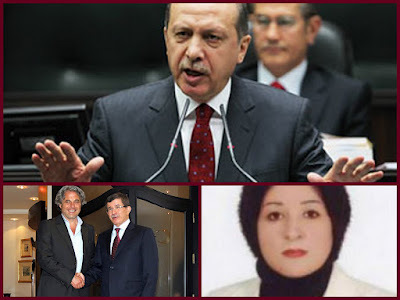 Gen. Manaf Tlass, the most senior defector from Assad's regime, arrived in Ankara for consultations yesterday. Turkey's Foreign Ministry said Tlass joined Foreign Minister Ahmet Davutoglu for Iftar (the meal breaking the day's fast during Ramadan). Tlass appeared briefly with Davutoglu at an official guesthouse, but made no statement. It is legitimate at times to blow your own horn -- in this case, ArabSaga’s. Yesterday’s post was the first in the global media to report Syrian Gen. Manaf Tlass’ arrival in Saudi Arabia. 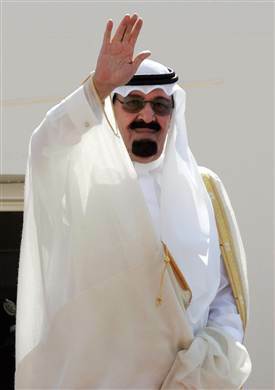 It led off with his landing in Riyadh before flying to Mecca to perform the Umrah. And it hinted at the considerable significance of the visit a propos the Saudi drive to rid Syria of President Bashar al-Assad (see the posts of July 25, July 19 and July 18). Today, the leading Saudi daily Asharq Alawsat confirms Tlass’ presence in the kingdom by running a full-length interview and a picture of him in Jeddah. Significantly, the interview was conducted in person overnight by Asharq Alawsat’s editor-in-chief Tariq Alhomayed. All this confirms my impression that Saudi Arabia is grooming Tlass to lead the transition to post-Assad Syria. My exit was a complex operation that took time and involved several parties. But I won’t say more so as to protect those who helped me. Maybe one day I will reveal how I exited Syria. From the beginning, I disagreed with the regime on ways to handle the crisis. I self-distanced myself for a while as mistakes in handling the crisis multiplied. I had no decision-making input on the matter. That’s why I preferred to leave. I always sought not to take sides. I tried to help all sides come together to overcome the crisis. That’s why I didn’t give a reason for my defection. I am not looking for authority. I am looking forward to security and stability for Syria. If I get the opportunity as an ordinary citizen to return and build Syria, then I’m ready. But I am not looking for authority. I did not leave Syria to lead the transitional period. I am aware the phase is difficult. It will be difficult for any one person to assume sole responsibility for this chapter. Better if people on the ground in Syria and abroad cooperate to see this phase through. I did not leave to play a role. I left because I refused to participate in a security solution. That’s the main cause of my exit. I was in disagreement with the security agencies over their management of the crisis. I tried my best to solve it peacefully. I discovered a security solution was their priority, so I turned my back on this environment because I thought the crisis was complex and needed a genuine solution. What I saw was the uprising being met with nothing but firepower. I refused that. There were people calling for dialogue and wishing the regime would listen to them. But it did not. I was among those who preferred having a dialogue with the uprising. That’s why I stood aside. I was aware that once a security solution is launched, abandoning it becomes costly. That’s why I always thought the security solution is suicidal to the regime. I self-distanced myself the instant the uprising was met with violence. I effectively defected at the onset of the crisis. I was a defector while still in being in Syria. A defector doesn’t have to make a televised declaration. I deemed myself a defector because the manner in which this regime managed the crisis ran counter to my convictions and aspirations. I don’t have blood on my hands. I don’t see history ever suggesting I had blood on my hands. I judge myself before history judges me. And I don’t care about authority or office. It’s about a year (since I last met with Assad). I wish he listened to me (and opted for a political solution). Chances (of a solution that keeps him in office) have dissipated. His staying in office after the huge number of deaths is unlikely. I wish he didn’t opt for a security solution to stay in power. But the security agencies misled him. Mistakes in politics can sometimes prove deadly. (The bombing that killed four of Assad’s inner circle) was proof of a major security lapse. The bombing took place in a very secure area. This shows the uprising is getting evermore sophisticated and that the regime needs to lend its ear (to insurgents). It will be catastrophic if it doesn’t. Maher al-Assad would not have been at such a (inner circle meeting). His ranking does not entitle him to attend. A coup d’état in Syria would be difficult in view of the regime’s structure. The coup should have taken place at the onset of the crisis. It would be difficult for me to quantify support (for the regime by Iran, Hezbollah, Iraq and the Russians), particularly that I was not a member of the crisis management team. But the longer the crisis lasts, the more difficult it would be for Syria to recover. No, he (Assad) is not weak. People around him simply belittled the crisis and that’s why he chose the security solution. My plan is to settle securely with my family and children in a place that is safe. I have the same wish for the Syrian people. If Syria is safe and if safety is what Syrians feel, I would be the first one back in Syria because I am a Syrian citizen. Safety and security are what I wish for all Syrians, including myself. I wasn’t thinking of whether I would be politically active or not, or in terms of having a political mission, when I left Syria. But if this were to serve my country and Syria’s security and stability, I’d possibly play my role as an ordinary citizen. Anyone else wanting to help solve this crisis would do the same. There are nationalist people in and outside Syria. I yearn for a consensus solution that forestalls Syria’s destruction. There are many honorable people in Syria and beyond. I hope they would set a roadmap to end this crisis peacefully and at minimal losses to Syria. This is because Syria is a country of coexistence bringing together different minorities and ethnicities. Citizens need a secure expanse to heal their crisis-inflicted wounds. I look forward to genuinely nationalist and honorable sides that can nurse those wounds and prevent further degradation in Syria that puts its future at risk. I wish Syria a roadmap to end its crisis. I will connect with every honorable person wanting to build Syria -- whether in the Syrian National Council, the Free Syrian Army or inside the country. I will link up with everyone to determine a roadmap to end this crisis. There are many in the regime whose hands are not stained with blood. They were not consulted. They should not be ostracized. We need to safeguard our national institutions as well as Syria the state. Honorable Syrian citizens can’t possibly be ostracized from Syrian society. Our mosaic-like Syrian society will have to bring back to life the Syria of old and build on it. But no, I don’t see such (new) Syria with Bashar al-Assad (staying). I am happy to be here in the Kingdom of Saudi Arabia. I am glad to have performed the Umrah. Saudi Arabia is Syria’s friend. The regime committed a strategic mistake in squandering this relationship with Saudi Arabia. I expect Saudi-Syrian relations to always be close-knit because the two countries share the same faith, nationalism and pan-Arabism compass. I flew in to greet our Saudi brothers and weigh up their propensity to help us draw the roadmap alongside our other friends in the region and the international community. We shall interconnect with each and everyone capable of helping Syria put a stop to this crisis. I, of course, seize this occasion to thank the Custodian of the Two Holy Mosques, His Majesty King Abdullah bin Abdulaziz, for giving me the opportunity to visit Saudi Arabia and for standing by and assisting the Syrian people. Ali Hassan Abdelmajid al-Tikriti was Iraq’s one-time defense minister and a first cousin of Saddam Hussein. He was dubbed “Chemical Ali” for using chemical weapons against Iraqi Kurds in the 1987-1988 Anfal offensive culminating in the infamous attack on the Kurdish city of Halabja, which killed more than 5,000 people. He was captured after the 2003 invasion of Iraq, tried, sentenced to death and hanged in 2010. It threatened to unleash its chemical and biological weapons if the country faced a foreign attack. During a televised news conference, Foreign Ministry spokesman Jihad Makdissi stressed the weapons are secure and would only be used in the case of an external attack. It was the regime’s first acknowledgment that it possesses weapons of mass destruction (WMD). State Department spokeswoman Victoria Nuland said Washington was “working with allies to monitor the situation” and to send the message to both Syria’s government and opposition about the importance of protecting unconventional weapons. “According to Global Security, there are four suspected chemical weapons sites in Syria - one just north of Damascus; the second near the industrial city of Homs; the third in Hama, believed to be producing VX agents in addition to Sarin and Tabun; and a fourth near the Mediterranean port of Latakia. The most senior Syrian politician to defect to the opposition told the BBC last week the regime will not hesitate to use chemical weapons if it is cornered. The opposition Free Syrian Army (FSA) yesterday said the chemical arsenal had been moved in a bid to pressure the international community. “We in the joint command of the Free Syrian Army inside the country know very well the locations and positions of these weapons,” the statement said. “We also reveal that Assad has transferred some of these weapons and equipment for mixing chemical components to airports on the border. Maj. Gen. Adnan Nawras Salou, a Syrian Kurd who defected to the FSA and was chief of staff of the chemical warfare authority for five years until 2008, will no doubt have vital intelligence to share about the regime’s WMD. 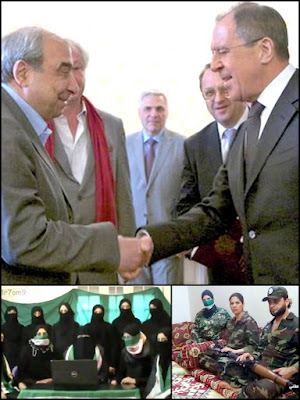 (See my July 15 post, “Syria’s ex-chemical war chief to head military opposition”). Minimizing the dangers posed by Syria’s chemical weapons is a challenge of considerable complexity, Leonard S. Spector, deputy director of James Martin Center for Nonproliferation Studies (CNS) at the Monterey Institute in Washington, told a U.S. House of Representatives subcommittee last week. # Outside Syria, I believe our core objective is to ensure that Syria's various assets do not find their way to parties, such as Hezbollah, anti-government insurgents in Iraq, the Taliban, or al-Qaeda… Assad has been warned not to take this step, which would certainly lead to calls for military intervention against him that even Moscow would find hard to oppose. # [Within Syria] our most urgent goal is to ensure, for humanitarian reasons, that these weapons are not used in the current conflict. # Timing is another key parameter to bear in mind as we develop strategies to reduce the risks from Syria's arsenals. Broadly speaking, we need to think in terms of three time frames: the current period of increasingly violent hostilities; the period of transition to a post-Assad government of one type or another; and the period after the authority of that government has been established within Syria. # It is my understanding that CW storage facilities were deliberately built outside major population centers, probably to enhance secrecy and as a safety precaution. Production facilities are likely outside city centers. Thus it is possible that as the current phase of the conflict unfolds, such facilities may fall within insurgent-controlled territory. Although it has been reported that Syria has recently moved some of its chemical weapons, possibly to more secure locations, some chemical assets, such as large stocks of bulk agent may be difficult to relocate and may remain in situ and at risk of diversion. # One measure that should be implemented immediately is to make clear that chemical weapon custodians who find themselves behind insurgent lines and who peacefully relinquish formal control over these stockpiles and then stay in place to protect them from misadventure, will be protected, and even rewarded, by the post-Assad government. # Syria is one of a handful of states that have not joined the 1997 Chemical Weapon Convention, which prohibits parties from possessing these weapons and requires parties to destroy existing stocks. A key goal for the United States, which would be widely supported by other nations, would be to orchestrate Syria's commitment to eliminating its chemical arsenal and joining the Convention. # The Syrian government that replaces Assad must be pressed to take similar steps as a condition for recognition and sustained support. # To avoid such a relapse to the status quo, as the Free Syrian Army seizes territory where chemical facilities are situated (see map attached to this testimony) in coming weeks and, thereafter, as the Assad regime approaches collapse, with neither the regime nor the insurgents fully controlling the state apparatus, Washington and its allies must take steps to negotiate international monitoring and security arrangements for these sites. It may be best for us to do this with another country taking the lead, such as Turkey, the Netherlands, or Sweden. Access to sites would be negotiated with the Free Syrian Army for facilities within territory it controlled and, clandestinely, with site managers for facilities nominally remaining within Assad's chain of command. Saudi Arabia is now throwing its full weight behind the drive to rid Syria of President Bashar al-Assad. King Abdullah yesterday called a two-day emergency summit of Muslim nations in three weeks time to address “the dangers of fragmentation and seditions” they are facing. This is reminiscent of the mid-1980s, when Saudi public fund-raisers generated financial support for liberating Afghanistan from the Soviets. The Kingdom’s motive he writes, “is not only to safeguard the interests, rights and freedoms of the majority of Syrians, but to face up to the challenge Iran is posing” to Saud Arabia’s Gulf and Arab partners after Iran made serious inroads in the Arab world’s heartland. Naoum says insiders got wind last week of Saudi Arabia’s resolve and commitment to push Assad out when King Abdullah appointed Prince Bandar Bin Sultan, the kingdom’s ambassador to the United States for 22 years, as the new chief of General Intelligence. “And it is an open secret that Prince Bandar has been championing a face-off with Syria in Lebanon since at least 2005,” Naoum writes. Saudi Arabia, in the eyes of Russian Foreign Minister Sergei Lavrov, is “the most hostile country to Special Envoy Kofi Annan and his Syria mission,” according to a report published this morning in Hezbollah and Syria’s Lebanese mouthpiece al-Akhbar. The report penned for al-Akhbar by journalist Nasser Sharara appears simultaneously on Syria’s state-run Champress website. 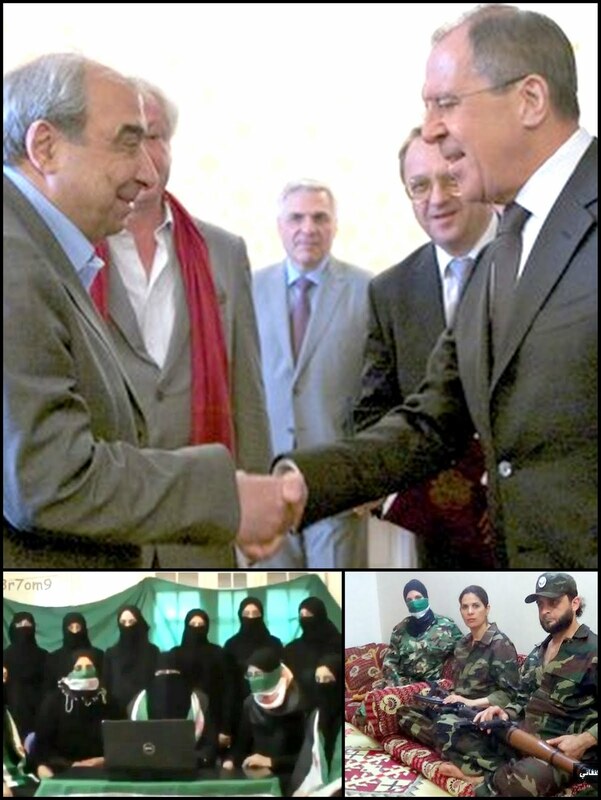 In his meetings with European Union ambassadors in Moscow, Lavrov cited three Syria-related Russian concerns: (1) Syria sliding to Muslim Brotherhood rule that would destabilize Central Asia (2) The empowerment of Muslim extremists and al-Qaeda members who are now threatening Algeria and the South African Development Community and (3) The safety of a 45,000-strong Russian community in Syria. The interlocutor – who also heard Putin say Moscow can’t accept the massacre or ejection of Syria’s minorities -- left with the impression Russia is set on continuing to take advantage of the entrapment of its opponents. Charbel says, “Putin’s Russia hates Western human rights and welfare organizations. It doesn’t want to see the disease spreading and infecting its Muslims. China has similar concerns in this respect. Russia could be reminding the United States of the need to redraw zones of influence and address such pending issues as ballistic missile defense systems. “Developments on the ground in Syria foretell the derailment of Russia’s exploitation of what it deems to be its detractors’ snare. “Clearly, the Syrian regime is still able to fight. But it is no longer able to exit the tunnel. “Happenings in Damascus and Aleppo may change the scene. Russia was asking the West to pay for a solution. Developments could yet force Russia to pay for a doorway. Russia could still discover she walked into a trap herself after losing a bet in Syria and alienating the Arab, Islamic and Western worlds. “Iran in turn will ultimately discover the magnitude of the trap in which she fell. Her stand on the Syria crisis adds to her Arab, Islamic and international isolation. It also exposes her to risks in a region full of surprises.